Are you always in front of your computer doing your projects and assignments? Do you suffer from eye strain because of too much exposure to the harmful blue light? 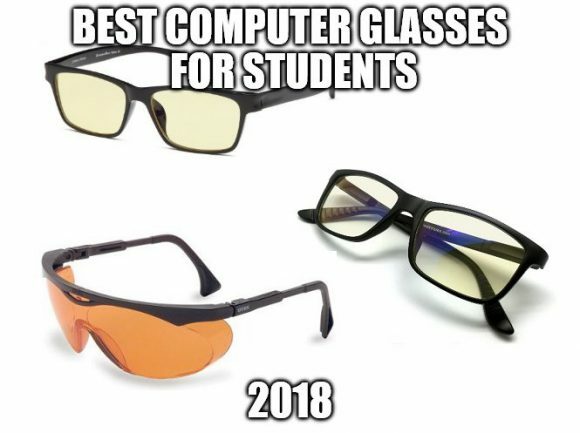 Well, I suggest that you take a look at the best computer glasses that students can use for this year 2018. Computer vision syndrome is a widespread problem, most especially for students. This is because majority of their work needs to be done on a computer or laptop. This in return results to other issues like red eyes, dry eyes, mild headaches and even fatigue. On the other hand, there are already various solutions that you can take advantage of. This includes the computer glasses. 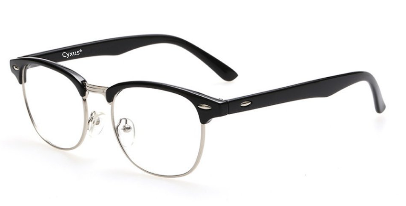 So I decided to make a list of the best computer glasses that can protect your eyes. This list is based on the effectiveness, quality, and affordability of the eyewear. I suggest that you give some time and look at these glasses. This glasses help in reducing headache and red-eye effects that are caused by continuous use of digital devices. The lenses also have a special Amber tinting on them. This tinting helps the user in increasing the number of hours in front of the monitors. 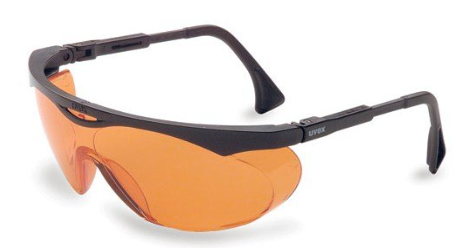 The lenses used in Gamma Ray 003 is amber tinted. It is used to minimize the digital eye strain caused by the blue light from the digital screens you are using. 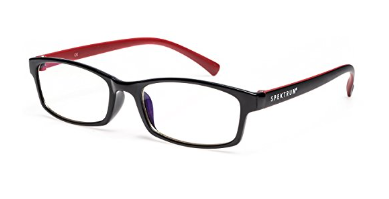 The frame material is a high-quality hybrid plastic that provides tensile strength as well as great looks to the lenses. The temples are spring loaded and show an excellent compatibility with massive headgears. The lenses filter the blue component and make the incident light safer for the eyes. The lenses also allow an adequate amount of blue light to pass through for maintaining minimum distortion in the images and a clear vision. There is a hard J+S shell, and cleaning fabric specially designed for cleaning the lenses and the glasses themselves. Another great feature that makes the structure of Uvex Skyper attractive is its length-adjustable Duoflex cushioned templates. With these adjustable templates, the frame fits all the head sizes. The lenses have an orange tinting on them which is a part of their SCT, and helps in avoiding the blue light from the spectrum. The feedback from the people, after using these lenses for a while has been phenomenal. The glasses have relieved a great number of people from their eye issues and have helped in increasing their overall work productivity. The glasses assist in reducing the dry currents entering in our eyes by the use of ultra refined lenses that are made of high-quality material. The lenses also have an anti-glare coating with a light Yellow tinting. The frame is made from highly condensed plastic which enables bending on the frames without breaking. Being a half-rimmed frame makes them extremely attractive and beautiful. The glasses is packed in a hard case. You’ll also find a soft cleaning cloth within the parcel. These are just some of the best computer glasses that you can take advantage of. Personally, I prefer the J+S Vision and Gamma Ray 003. Even though the tinting on their lenses is not that dark it can still protect the eyes from the harmful blue light. Plus it doesn’t cost that much. Nevertheless, all of this eyewear gives top quality protection. So it is just a matter of personal preference on what you will choose. You just have to remember that computer glasses is just an aid. You still have to have frequent breaks in order to maximize its results. This was a very interesting article. I’ve heard of these kind of glasses before. This is also actually very relevant to me because I spend most of my time on the computer. 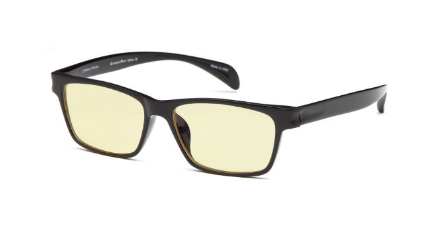 I have a question though, is it still important to wear these glasses even if you have a yellow light program installed on your computer like Flux? Thanks! Actually, it depends on your own personal choice. If ever you already have the flux, try it for some time and determine if it works. If not, then you can try having a pair of computer glasses. I remember my student years very well and my eyes were getting TOO FRUSTRATED because of looking to computer screens long hours and lack of sleep during finals wasn’t also helping. Now I’m using a blue light filtered glass and it’ s AWESOME!!! I can sit in front of the coputer screen and won’t even feel any fatigue!! I advise something like J+S Vision which would really help out all the students!!! I use the J+S right now at work but I am also looking into other options. I didn’t need any convincing that CVS is no joke. My wife struggles with it every day (her work is all on the computer). She has an old pair of computer glasses, but I’d like to get her some new ones as a gift. I’m curious though. Why do some of the glasses have darker tint than others? Is there a direct 1:1 correlation of tint level to CVS relief? Actually the darkness of tint doesn’t necessarily correspond to the effectiveness of the glasses. It just depends on your personal preference. Okay! You convinced me that I need a pair, and most of them really aren’t that expensive. I am bookmarking your site, so after checking into which ones to buy; maybe I can purchase through the links on your site. I didn’t even know such a thing existed; but I have dry eye and my eyes are red and sore and have pressure much of the time. These glasses certainly seem worth trying. Do you think they would help someone with dry eye? I spend a lot of time in front of the computer and on my cell phone. Basically, computer glasses have special tinting on its lenses that prevents the harmful blue light from reaching your eyes. So it can definitely help minimize or even get rid of your dry eyes. Ever since I signed up with the Wealthy Affiliate in September 2017, I am always hooked up with the computer and my eyes are getting strained. It is my good time that I came across your post. You have given an unbiased review of computer glasses. Already I am using a reading glass. But I prefer buying a computer glass. My question is can I customize the lens with my prescribed power? 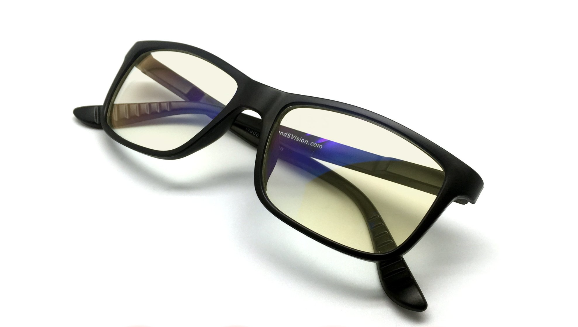 Yes, there are some computer glasses that are prescription ready so you can change the lenses based on what you need.